On a cloudless winter day our river city is looking spectacular. 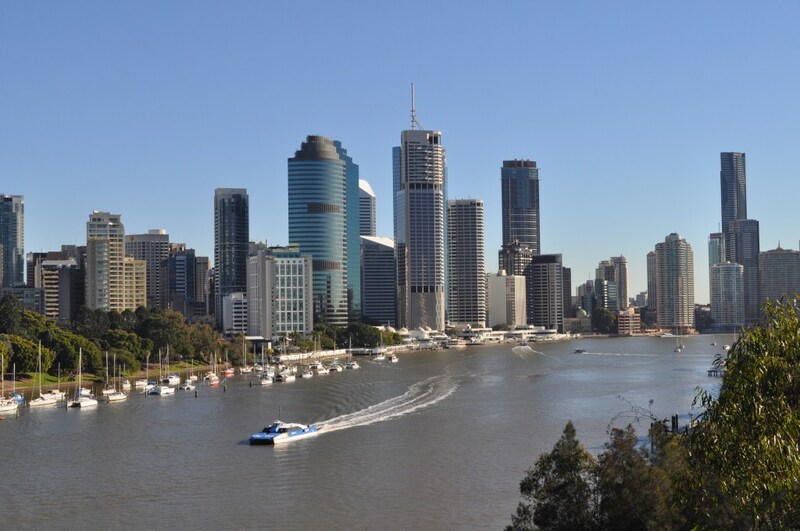 Brisbane, established in 1824, is named after the river on which it sits, which, in turn, was named after Scotsman Sir Thomas Brisbane, the Governor of New South Wales from 1821 to 1825. Brisbane has played host to large scale cultural and sporting events. 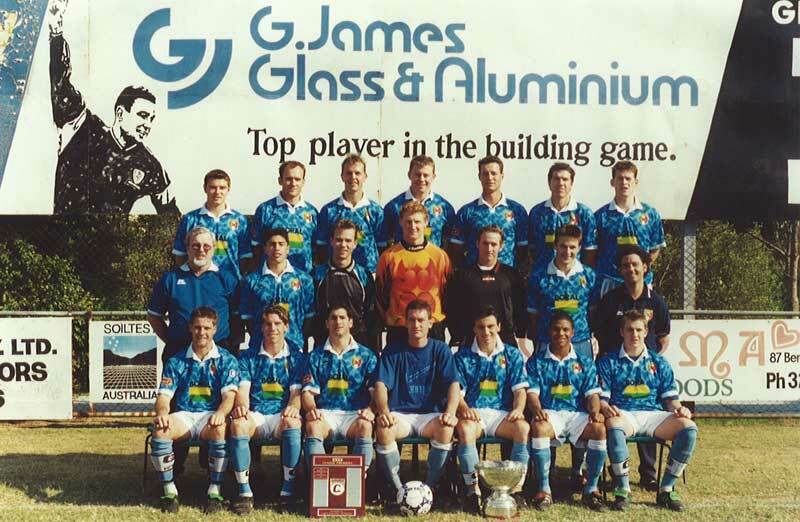 and in 2001 the Goodwill Games held their last ever competition in Brisbane. The Indigenous Peoples of Australia call refer to Brisbane as “Mian-Jin” or “Place shaped as a spike”. The spike reference no doubt relates to the fact that Brisbane is a hilly city. Brisbane, in fact, is just east of Australia’s most substantial mountain range (The Great Dividing Range). 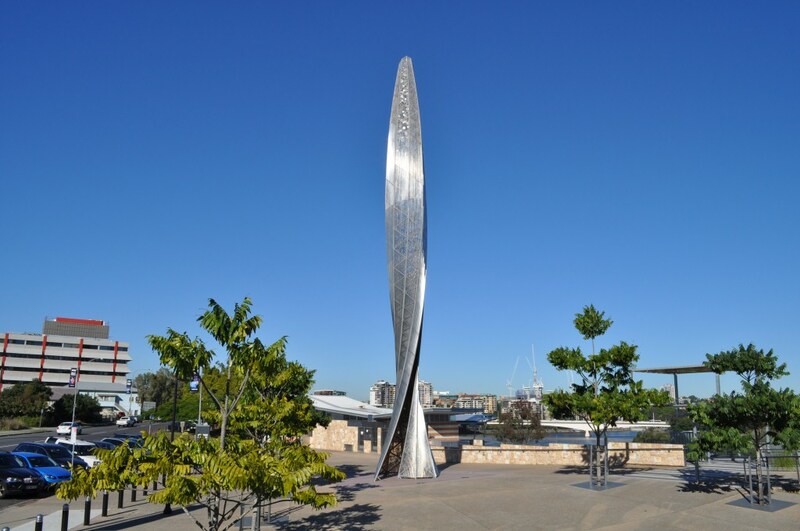 Venus Rising was installed at Kangaroo Point Park on 19 January 2012. The artist and engineers worked to create the best possible vision for this major sculpture, destined to become an iconic marker for Queensland. Its slender torpedo shape is based on the Fibonacci spiral. Illuminated from the base, Venus Rising is a visible marker on the Brisbane skyline. Although G.James did not play a role in this project it is an impressive artwork to form part of Brisbane. More information available on the artwork available here.